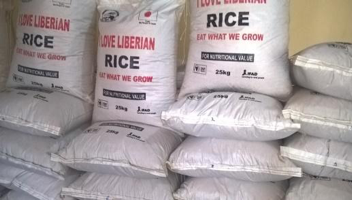 Monrovia – A Liberian entrepreneur, Reverend Robert Bimba, has stressed the need for Liberians to start feeding themselves with homemade rice. Reverend Bimba, who is the head of the Community of Hope Agriculture Project (CHAP), says the group is currently cultivating rice to supply the Liberian market. CHAP has implemented several projects for the Ministry of Agriculture, West Africa Productivity Program WAAPP/World Bank, WHH, and UNFAO. CHAP also has the following priority areas, Livelihood and Agriculture, Health & Hygiene, Education, Community Mobilization, SRI Program, capacity building training, Village Savings and Loan Program, and Value Chain among others. 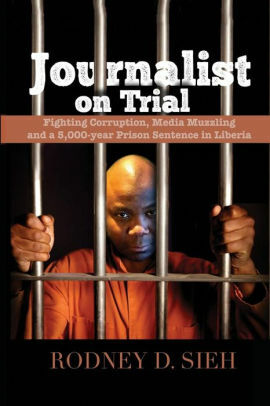 Bimba said “for too long Liberians have lived on imported products including rice to survive”. He told FrontPage Africa that CHAP is using System of Rice Intensification (SRI) for dry season farming as a climate smart innovation with less water, “Rice plant can do better with less water,” he said. He also disclosed that CHAP has profound expertise in the Liberian rice sector, saying, it is the focal point organization on SRI in Liberia with support from IFAD, the World Bank, CNS-Riz (Mali), SRI-Rice (Cornell University, USA), and Abide in the Vine Fellowship Owego, NY, USA. Rev. Bimba said US$2 is million spent per annum on subsidizing projects and the US$200 million spent on the importation of rice can be invested in the rice sector. He noted that when more funding is infused into the agriculture sector, it will provide job opportunities for young people in the country. He, however, disclosed that CHAP currently has milling machines with a capacity of producing a minimum of 8 metric tons a day. Bimba disclosed that CHAP in collaboration with other partners and has begun developing a roadmap for the supply of Liberian rice to the local market. “If we put our time and focus on eating our own rice and work towards promoting it, we will all start to feed ourselves from our own soul,” he said. He called on all Liberians to join CHAP for the fight against hunger. “Join us in our big bumper SRI harvest. Rush and buy your own Liberian milled rice now US$20 /25kg white rice and US$30/25kg red rice, let support each other and stop tearing each other,” he noted.